In narratives that hinge on proving our humanness, Indigenous people sit stilled in the role of the described. As the described, our words are pit against us. A view of Lesser Slave Lake. Joussard is located on its southwestern shore. Image by Bulliver via Wikimedia. With In Search of April Raintree I found all of this. I found a book that was more than a book; Mosionier’s story of the lives of two Indigenous girls who enact care against the racialized embargo on care that is Canada, who care for one another in contradistinction to the cruel “care” of the state, of social services, was and is a searing indictment of Canada. It was and is a critique of this ravaged country’s inability to stop compounding the brutalities that Indigenous peoples are made to endure, brutalities that live and breathe in and possess the bodies of those endowed by governments of all sorts to mediate a history that is in fact without end, without mercy. In Search of April Raintree refused to torpedo Indigenous peoples into the gutters of misrepresentation. Mosionier took the work of description into her own hands and because of this she refused to offer up a rhetoric that one might describe as simple. That is, Mosionier wrote in the mode of “truth-telling” to paint a picture of complicated and compromised living in the crosshairs of settler governance. In this way, she laid bare a way of storytelling that always returns us to the possibility of Indigenous life unhampered by a coloniality of the present. As Fred Moten says, “Anybody who thinks that they can understand how terrible the terror has been, without understanding how beautiful the beauty has been against the grain of the terror, is wrong.“ Each word of Mosionier’s book, each pronoun and preposition, all of them, shook and shake still with a vitality that is in the name of Indigenous freedom and nothing less. There is an art to spinning words so that they are always-already against the monotony of voice and for the polyphony of political speak. This is the terrain of Indigenous writing. It always has been and always will be. Say forgiveness. With a maw full of smoke, say the aftermath of history. Hold our books in your slippery hands with the ever-loudening fact of their eschewal of the violence of a reading practice that makes a feast out of “a choreography of mangled bodies.”11From my debut collection of poems, This Wound is a World. Mouth the word “enemy,” but do not enunciate it, for it is not a subject position worth keeping in the world. Living as we do in the charred remnants of a time during which the voices of Indigenous peoples were siphoned out of the theatres of culture and into the wastelands of law and order, you, a white and settler you, are beholden to a project of lessening the trauma of description. Simplicity is a mode of being in the world available to those enmeshed in white structures of feeling. Simplicity is an affect that motors the cultural imaginary of whiteness; it is an interpretive strategy. Simplicity hides a flurry of forms of social and political violence that rip the lives of those from the badlands of modernity from the freedom of a simple life, from a life emptied of historically contingent tumult. Simplicity belongs only to those who live and write unfettered by all of that which ravages the worlds. It is an emotional orientation that enables one to pick up a book and put down a carcass. Simplicity is a structural impossibility for Indigenous peoples who write despite and in spite of the coloniality of the present. Recently, a collection I wrote was reviewed under the headline, “Billy-Ray Belcourt’s Simple and Radical Poetry.” The title alone steals breath from the bodies of those who are roped into the unlivable and racialized terrain of simplicity. The headline was later modified, “simple” axed, after writers like Gwen Benaway wrote incisive threads on Twitter critiquing it. The review made use of the rhetoric of simplicity: words like “plainspoken,” “straightforward,” and “unmistakable” pile up to chase after a thesis about method in poetry that has at its heart a binary between indecipherability and simplicity. This interpretive behavior is everything in literary history. Theorist Dian Million, in an essay called “Felt Theory: An Indigenous Feminist Approach to Affect and History,” describes a “new language for communities” to get at the sorrow and love that proliferates in Indigenous social worlds. Million cites both Raintree and Maria Campbell’s Halfbreed as texts that evidenced an artistic practice that broke through the sound barrier of Canadian historical ignorance to tell “politically unspeakable” stories. Indeed, it was recently revealed that a chunk of Campbell’s book was edited out because it detailed sexual abuse at the hands of members of the Royal Canadian Mounted Police, an avowal that would have surely thrown into relief the chronic problem of police brutality against Indigenous women. This time, Million tells us, produced “a profound literature of experience.” Still, those who look and install meaning into words with the force of a history of impoverished reading negate the profundity of our writing. The meta-claim that is underneath this line of inquiry is what we might call “racial fatalism”: in other words, it is as if Indigenous peoples were so bogged down by history, by bodies that emerge from that history, that we can only write in a way that is “plain,” that is “sparse,” that is “simple.” It’s a liberal interpretative strategy that seeks to empower a “humanity narrative” that is in fact a trapdoor, worthless in the fight against the cannibalistic genre of the human inaugurated in the laboratories of the New World.33To follow this line of inquiry, see the work of seminal Black studies scholars like Sylvia Wynters, Katherine McKittrick, and Christina Sharpe. It is not that we need to be welcomed into the wasteland of the human, to be made fit for the operations of violence that uphold it, but a remaking of the world, one not ruled by Man, one that flowers freedom for those denied it as a symptom of the many-headed hydra that is white supremacist capitalist heteropatriarchy. In narratives that hinge on proving our humanness, Indigenous people sit stilled in the role of the described. As the described, our words are pit against us. Having only in our arsenal words that self-destruct, we shoulder the burden once more of voicelessness. How cruel to have our critiques of the ways in which unlivable lives are manufactured everywhere in Canada heard as evidence of our ability to speak and nothing else! 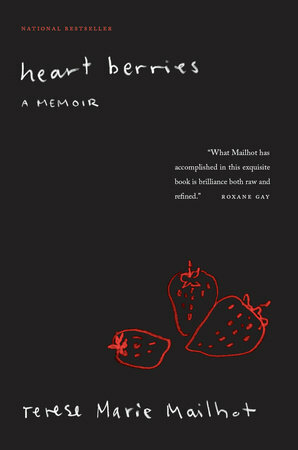 “My story was maltreated.” So goes Terese Marie Mailhot in her debut memoir Heart Berries. Heart Berries elaborates a theory of ethical living, of how we might tune our ears to hear the always-compounding ways that Indigenous women are denied care. It is not just that we are called on to listen in a mode that might shatter the sound barrier of liberal empathy (to testify), but also and more importantly to treat a story so as to read and act in the direction of the world it begets. So, it is not that contemporary Indigenous writers are speaking in unison, as if in a chorus uttering the same things, all in the name of a singular avowal of that which impedes our flourishing. We are all caught up in the Singularity of coloniality. But, each book, each poem, each story, is against the trauma of description, those ways of reading and listening that make vampires out of people, possessed by an insatiable hunger for a racialized simplicity that makes us into objects of study to be fed through the poorly-oiled machine of analysis. To tell a story of the possibility that swells up even where it is negated requires a sociological eye, an epistemological standpoint, that is borne out of experience, of knowing what it is to be a map to everywhere and nowhere. What’s more, to hear this story of compromised living, of joy against the odds, of the repeatability of a history that lives in the bodies of those who reap the spoils of colonialism, as something more than a “simple” account of a singular life, is to undergo a process of resubjectification, one that requires the abolition of the position of the enemy, the vampire, the one who describes, the settler. You need to read, to listen, and to write from someplace else, from another social locus, a less sovereign one, a less hungry one. All of my writing is against the poverty of simplicity. All of my writing is against the trauma of description. Today, the world is just beginning, so I pack light. I start and end with books by Indigenous writers. With Layli Long Soldier’s Whereas, “I Mommy the edge” between a painful history that is not done with us and a still possible future that proliferates care. I call this the “eroding edge of pathos,” which is where I jump from with Leanne Betasamosake Simpson’s This Accident of Being Lost, an unruly and differently ruled text that welcomes us to “the space of the unspoken and the unwritten and the unsung.” It is here, Gwen Benaway tells us in Passage, that “passage is more than movement,” is in excess of and prior to geographical change, is an ontological force as much as a creative-theoretical one. With these books I pitch a “shaking tent” where we assemble another “congress / of selves,” another world where we perform and enact “everything [we] long to know and hold” (Liz Howard). You are not invited into our tent. We are not yet at that point of hospitality. I will not tell you when this time has come. Billy-Ray Belcourt is from the Driftpile Cree Nation. He is a Ph.D. student in the Department of English & Film Studies at the University of Alberta. He is a 2016 Rhodes Scholar who read for an M.St. in Women’s Studies at the University of Oxford. This Wound is a World is his first book; it won the 2018 Canadian Griffin Poetry Prize, the 2018 Robert Kroetsch City of Edmonton Book Prize, and a 2018 Indigenous Voices Award. It was also named the best “Canadian poetry” collection of 2017 by CBC Books. His next book, NDN Coping Mechanisms: Notes from the Field, is due out in the fall of 2019 with House of Anansi Press.